Roads to the Great War: Who Was Mikhail Frunze? Mikhail Vasilyevich Frunze (1885–1925) was a brilliant Soviet army officer and military theorist, and is regarded as one of the fathers of the Red Army. After becoming a Bolshevik as a student in St. Petersburg in 1904, Frunze took part in the Revolution of 1905. After frequent arrests for revolutionary activity, he escaped in 1915 to conduct agitation in the Russian army, first on the western front and, after the February 1917 Revolution, in Belorussia. He led Red Guards during the October Revolution in Moscow. He became one of the outstanding commanders of the Civil War, commanding, in turn, the eastern front against Admiral A.V. Kolchak in 1919 and the southern front, where General P.N. Wrangel was routed, in 1920. He became deputy people’s commissar for war in March 1924 and replaced Leon Trotsky as people’s commissar for war in January 1925. In 1924 he also became a candidate member of the Politburo. Frunze was one of a group that opposed Trotsky’s views during the Civil War and, in consequence, won the support of Joseph Stalin, who ensured his advance after 1921. He was the author of the “unitary military doctrine,” according to which the army should be trained throughout in a spirit of offensive action, united by its ideology and by its determination to carry out the task of the Communist Party—the promotion of world revolution. This could not, in his view, be achieved so long as the army was commanded by officers of the old imperial army, whom Trotsky, of practical necessity, had put in command of the new Red Army after 1918. Frunze asserted that the form of the Soviet military establishment should flow directly from the revolutionary and class character of the Soviet state. 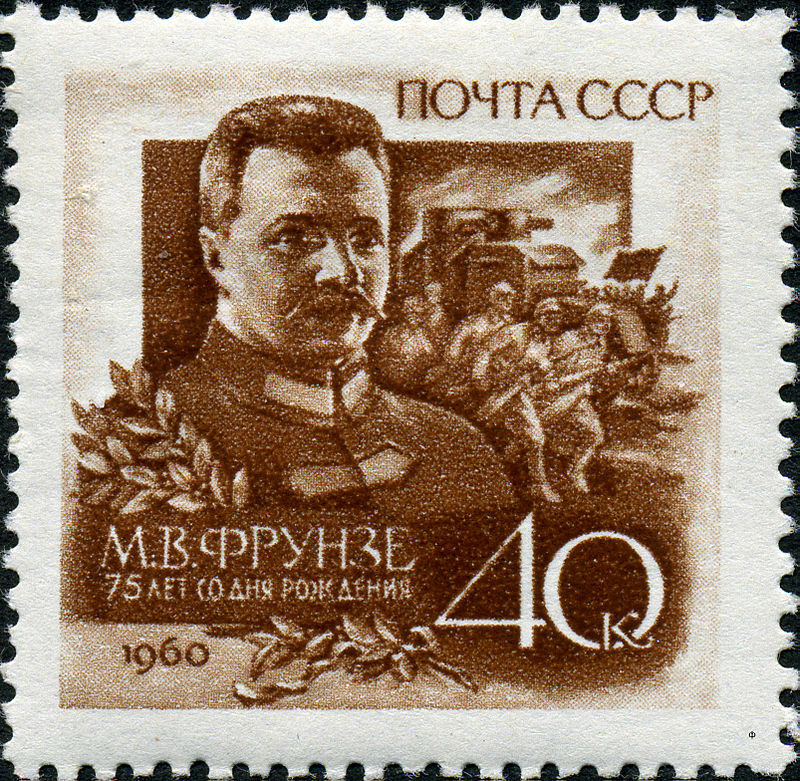 He helped lay the basis for a permanent and efficient peacetime Soviet military machine by introducing peacetime compulsory military service and by standardizing military formations, drills, and uniforms. A notable diplomatic achievement of Frunze was made through his support of Mustafa Kemal when Frunze was a representative to Turkey in the postwar period. It resulted in an accommodation between the Soviets and the longtime rival of the tsarist empire. He was the first chief of the staff of the Red Army and succeeded Leon Trotsky as the people's commissar for army and navy affairs. 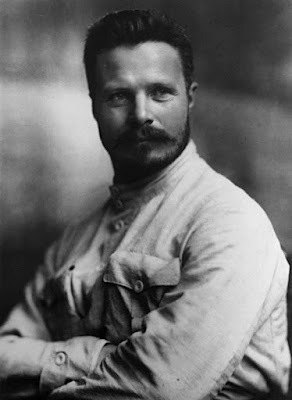 Considered a possible successor to Lenin, Frunze died from an overdose of chloroform under suspicious circumstances during surgery for an ulcer. No evidence has been uncovered, however, to support suspicions that Stalin or other rivals were responsible. Until 1998, the Soviet and Russian Federation army staff college bore his name. Wow a patrician Bolo who looked like he was going places, a poster boy for the new regime, rather than the thick glasses intellectual look, or that of the thug bank robber. How is it that these Russian style political assassinations get pulled off, like several years back with the "bad sushi" Alexander Litvinenko caper?